It’s time for another look at a classic Hammer horror film that’s currently available on our favourite format. Having taken a look at all of the recently released Hammer films by Studiocanal it’s now time to take a look at the ones that I missed reviewing which came out Blu-ray in 2012. So without further ado here’s my The Reptile Blu-ray Review. Following the unexpected death of Charles Edward Spalding his brother Harry (Ray Barrett) and wife Valerie (Jennifer Daniel) arrive in the village to live in the deceased’s house. Harry finds the locals rather unwelcoming all except for landlord Tom Bailey (Michael Ripper). Dr Franklyn (Noel Willman) lives in the big house on the moors and is particularly unhelpful and seems to have something of a dark secret, who or what is he protecting? The film is directed by John Gilling with the cinematography handled by Arthur Grant. If you have just watched The Plague of the Zombies then you notice that some of the sets are indeed the same. 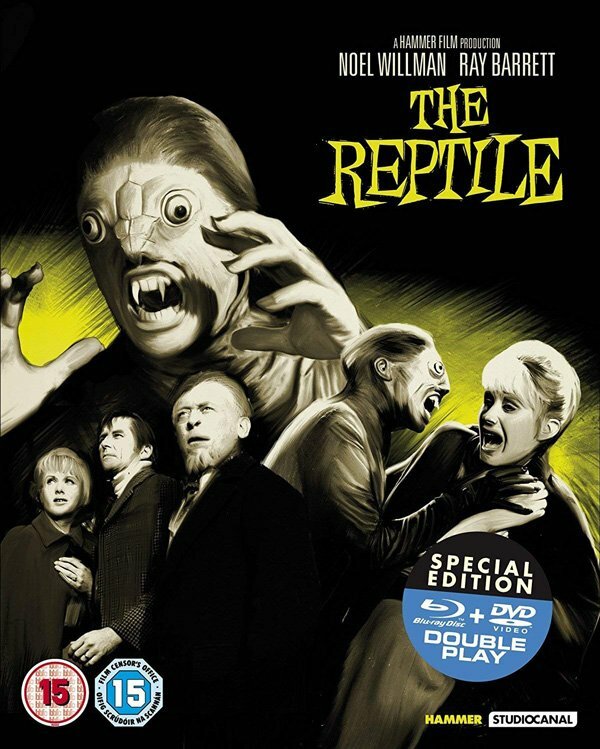 There is no doubting The Reptile is an interesting addition to the Hammer horror stable. 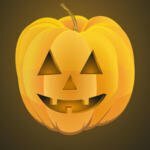 The film moves along nicely giving glimpses and hints as to the true nature of the horror. The music is provided by Don Banks and its big and dramatic when required but doesn’t quite reach the level of James Bernard. Noel Willman plays Dr. Franklyn, is he the bad guy or simply a man trapped in an impossible situation? He plays this to perfection, He’s an unkind and at time nasty character that appears to be very much in control but is this merely an illusion? In any case he delivers a fabulous performance. Ray Barrett is Harry George Spalding the hero figure in the film. He plays the role well enough and is passable as a leading figure. However I’d say Jennifer Daniel as Valerie Spalding is vastly more impressive in her role, while the highlight of the film for me has to be the inclusion of Michael Ripper playing Tom Bailey the local landlord. This is one the Hammer films in which he plays a more prominent role. As usual he is magnificent and really helps to make The Reptile a hugely entertaining film. Dad’s Army fans will see the familiar face of John Laurie as Mad Peter, there certainly no mistaking him that’s for sure. I like his performance and it certainly adds a little something to this strange and sinister tale. The Reptile is another of the so called smaller features that usually accompanied one of Hammer’s better known franchises. It’s a lower budget film too but don’t let that fool you into thinking it’s a poor film on the contrary I’d say it’s also a hugely underrated one. I strongly recommend any Hammer fans take another look at this lesser known gem. Any Hammer horror featuring Michael Ripper in a slightly larger role than normal is well worth a look. With the exception of the intro titles the picture quality is pretty good although there are a few speckles from time to time. It possibly one of the worst of the Studiocanal Hammer releases I’ve reviewed but is still pretty good and certainly better than any other copy you may own. On the extras front there’s an episode of World of Hammer that focuses on “Wicked Women” whilst the documentary “The Serpent’s Tale” provides the perfect insight into how the film came to be. I recommend watching both of these documentaries, I’ve been really impressed by the extras on all of the Hammer releases I’ve reviewed to date so well done Studiocanal and keep up the good work. Any Hammer horror featuring Michael Ripper in a slightly larger role than normal is well worth a look. The Reptile (1966) is available now on Blu-ray.